The family home was created in 1948 with Paul, the eldest and his two brothers, André and Jean. At the instigation of Paul, who spent 23 years at Moët et Chandon, in the cellar and in the winery, the vinification began. Gradually, cuvees were developed with this diversity of plots and terroirs, always in the respect of tradition, which make the particularity of our different wines with the help of Bernard Pierre, our oenologist. A tradition, know-how, a desire to move forward to obtain a product in respect of the environment and the customer. 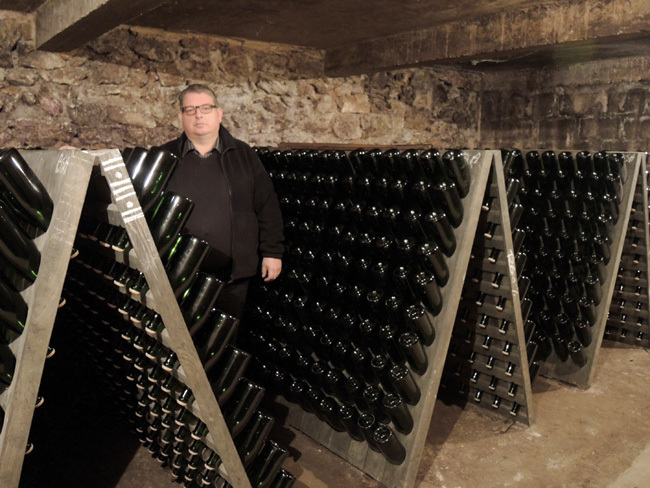 The Champagne is “the King of wines and the wine of Kings”. But it must remain affordable for a customer magnet well-made products and closer to tradition with a trademark that are the land… then be the King sipping our champagne. The vineyard spreads over 6.3 hectares on the crus of Moussy, Pierry, Chavot, Vinay, but also Bergères les Vertus. This surface is made up of 35 plots with different exposition and natures of soil, limestone for the finesse and argilo-limestone for the roundness of the wines. Tradition in the culture, harvesting, vinification method, from the vine to the glass. The grape varieties that go into the making of our champagne, by their variety, their location and their percentage, are worthy of the balance sought by the greatest merchants in Champagne. 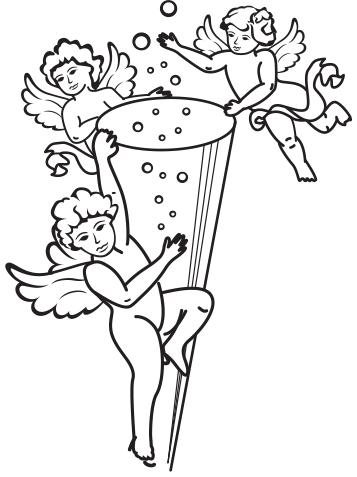 Our logo, designed by Pierre Besson, painter and friend, features three angels, each representing a grape variety. (Pinot Noir, Pinot Meunier and Chardonnay). Some will also see it as a symbol of number 3, to which we are attached. He also created this beautiful painting for us : “Il n’est deux belles mousses, que de Moussy”. 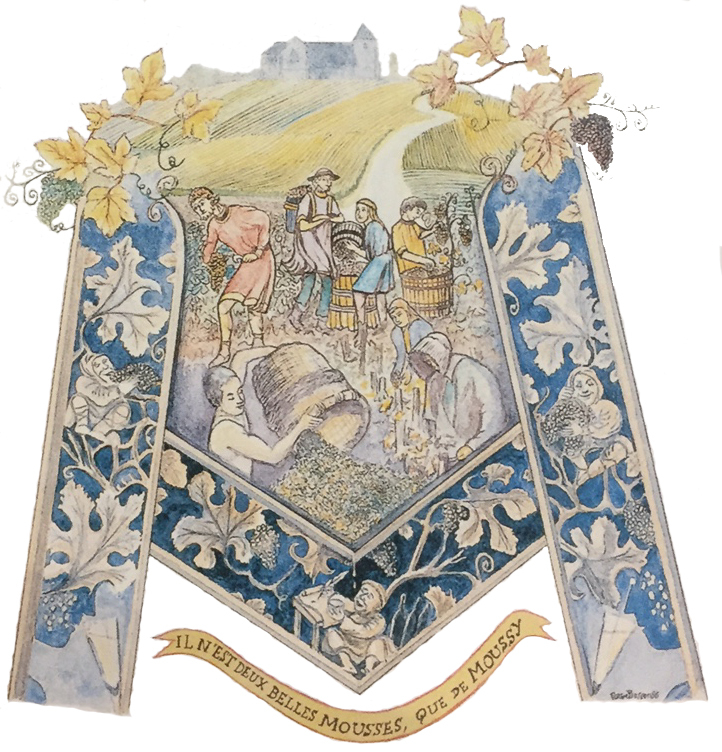 In this work, it refers to the two alcoholic fermentations that we have in the process of winemaking champagne. The most attentive of you will recognize the two types of vines, the work of the vine and the wine and also the Church of Chavot, which overhangs our village.